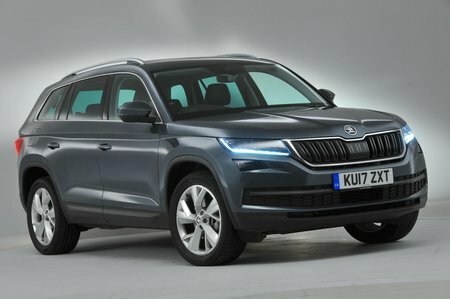 Skoda Kodiaq SE Review and Deals 2019 | What Car? SE trim is our pick. It’s significantly cheaper than SE L and still gets 18in alloy wheels, privacy glass, an excellent 8.0in touchscreen infotainment system, dual-zone climate control, rear parking sensors, automatic lights and wipers, and cruise control. Seven seats aren’t standard but are an option, while you’ll probably want to think about some other extras, including metallic paint, adjustable lumbar support, a variable-height boot floor (standard on seven-seat versions), keyless entry with powered tailgate and a rear-view camera.